Most of us have joined the icloud extravaganza and are now dependent on Apple not losing our data. Just imagine how upset you would be if you all of a sudden lost all your contacts. 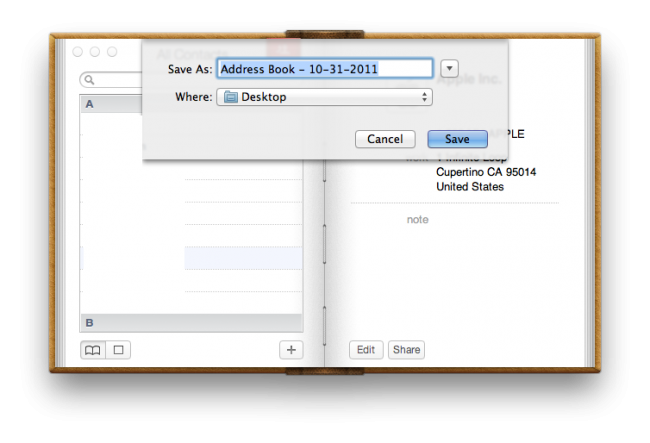 I personally am running OSX Lion 10.7.2 and I’m going to show you a simple way to backup your Address Book contacts onto your local hard drive. You should now have an ABBU (Address Book BackUp) file called Address Book – <date> saved to your computer.